It’s been seven years. Seven long years since that cold and cruel Vampire King, Lucius, broke her heart. 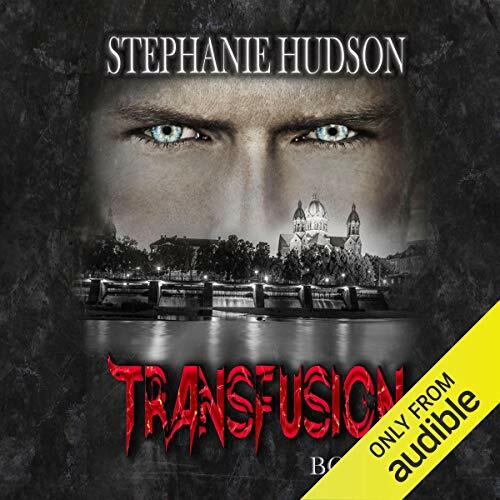 Her naive little heart destroyed after one painful night when she sneaked in to his Gothic nightclub, Transfusion. Seven years since he humiliated her, casting her aside and telling her just what he thought about her little obsession with him. Then he saved her life. Well, now he is back, and this time he is out for blood, and all she can hope for is that it isn’t hers that’s on the menu. Because she is just your typical, ordinary, everyday girl who works and lives in London. Even if she is trying to make it on her own without the safety of her family. However, growing up knowing of the supernatural world and being human definitely has its drawbacks. Especially when a certain Vampire King has her in mind for a date and his dominant and forceful ways are sending her reignited obsession with him into overdrive. But he does like her...doesn’t he? For nearly all the book Kelly did pretty good, until she destroyed Pip completely!!!! DESTROYED!!!!! How could Kelly of not done any research into the franchise and learn the characters???? Rebecca Rainsford may have set the bar high but definitely not unreachable! Kelly didn't even try! Pip is immortal, so why the hell did Kelly portray her as ancient? I can only think of 1 reason. zero effort in learning the characters. you'd think with nearly a dozen books available for reference she couldn't screw up Pip completely. It's possible Kelly isn't to blame but just the scapegoat, which if true I apologize for my berating. sigh.....what an insult to our beloved author who has spent years developing Pip. Kelly, please don't record Pip if your just gonna insult her fans and her creator.